Howard Carter is General Counsel TfL. Charles Ritchie is a member of the legal team. This is a transcript of an interview that took place on 5 December 2016. Present were Dame Margaret Hodge MP (MH), Howard Carter (HC), Charles Ritchie (CR) and Claire Hamilton (CH). MH: If either of you feel that there’s something. Just let me start on this. This was originally an idea, a mayoral idea, which is fine, that’s what mayors are there to do. When were you first brought in? When were either of you first brought in? HC: So I think I was first aware that there was a very general idea — I’m trying to remember, because it’s nearly four years ago, but I think it must have been early 2013, maybe late 2012. MH: Were you involved in writing that note that went to the Mayor in January 2013. HC: That gave the options? HC: I’m not sure whether I saw that before it went or after. I certainly recall it as something that was around at the time. Certainly I wouldn’t have had a heavy hand in drafting it. Whether I saw it went or after, I’m not sure. MH: And were you involved? CR: Not in that note. That would have been Justine Curry. MH: So there was no legal advice. MH: But there was legal advice, wasn’t there? CR: Justine Curry, who I report to, she was initially involved in the project. MH: Where is she? Is she still around? HC: Yeah, she works in TfL. MH: Okay. So why are we not seeing her? Why did we decide not to see her? HC: Well, you invited me and I asked to bring Charles because he’s the person who’s latterly had the most involvement with the detail of the document. MH: Right. So in that early stage, when the process was being — I’m not looking at is it a good idea or is it a bad idea — it’s the Mayor’s prerogative. I’m looking at process and lessons to be learnt from that and I’m looking at value for money. Now, where you guys come in a lot is process, really. So the early decisions, are you telling me you just weren’t involved in them? HC: When you say “decisions”, yes, we were. I certainly was aware of it – whether it was just before or just after that Christmas, I’d find it hard now to be very precise – so from a relatively early stage. And what Charles is saying is that the commercial law team were asked about that note and those options probably around November/December 2012. HC: I think that’s probably code for “our teams”, it certainly wasn’t me personally writing that note. MH: And you wouldn’t have okayed it? HC: Your question I think is, “Was the legal advice given to that early options note?” and the answer is yes, it was, because we know for sure that our colleague, Justine, was involved and she was the one who advised on it. MH: Do I need to see her then? HC: Well, I think that’s up to you. CH: Something to think about. MH: Well, when we go to that very early, early stuff, the allegation I’m looking at is it was a rigged process, okay? That’s the allegation that’s been put clearly to me by a lot of people. So I’ve got to look back at the process, and there are some oddities in it. First of all there’s your collective advice – and if you’re telling me you can’t answer this, I’m going to have to talk to this woman – that there should be an OJEU [Official Journal of the European Union] procurement. That was absolutely clear in the early days. HC: Well, that note that showed the different options for TfL’s involvement. MH: There was clarity what the project was. It was a Garden Bridge. MH: Yeah, but that was for you to provide advice. What I’m being told by the Mayor and his head of — what does he call himself? MH: — is that is all down to you. So the Mayor says he wants a Garden Bridge. Making sure that he does this properly is entirely TfL. He was absolutely clear he wanted a Garden Bridge. He was actually probably – I haven’t had a conversation with him – but he was probably absolutely clear he wanted Heatherwick to design it. HC: So I think we just need to be clear about what question you’re asking, really. If you’re asking the question, “Was there an early discussion about what the options available were for delivering a Garden Bridge?”, yes, there were, and you’ve seen the options note. And I think you were asking, “Was there legal input into that note?”, and the answer is yes, there was. A commercial lawyer in our team looked at that note and gave some advice, helping them flesh out those options. But I think you have to recognise it was very early days and it was very high-level strategic advice about what the options were, because it started at that point. HC: In relation to what? MH: In relation to the procurement process. HC: Well, what would the red flag be? HC: If it was being done as a public sector project, of course you had to do an OJEU and that was the advice that was given. If it turned out that it wasn’t a public sector project, and that point that had not been determined, then it might not have needed an OJEU procurement. That’s exactly the advice that was given and it’s absolutely the correct advice. MH: So your advice around the design would have been what? The problem is you didn’t give it, now you’re telling me. Have you got it there as to who gave it? Are you being collectively responsible/accountable for what happened? MH: And did you know this was just the design? CR: At this stage, yes, that would have been — this was early. MH: That this was for the design, not for the building of it? CR: Correct, yes. This was for the design. MH: Right, okay. So you suggested either an OJEU or a calling off the framework. What were the other options? CR: If the value of a contract is going to be below a certain threshold, the OJEU threshold, which at the time was £173,000 then you don’t have to issue an OJEU notice, but under your own internal rules run a form of competition. And the final scenario was that we didn’t procure it at all, but that it was procured by or it was led by Thomas Heatherwick. MH: You mean just directly contract with them full stop, don’t pretend to do a competition? CR: Well, it would be Thomas Heatherwick or his company leading the project rather than us procuring services or him or another designer. MH: Okay, so you never really suggested a design procurement of the nature that took place? HC: I don’t think you could say never. I don’t think we suggested it, but if you’re asking was that one of the options that was being considered, I think the answer is yes, it was one of the options that was on the table. MH: Were you comfortable with it? HC: I think the difficulty was that nobody really knew how this project was going to play out, and I think in the sense of some initial design advice was being procured, I think the selection of the type of process that they did was perfectly appropriate within TfL’s procurement rules. It didn’t reach OJEU and it did allow for an element of competition, so that complied with the procurement process. MH: Although it wasn’t, it was a mix. Wouldn’t they have been better just to say, “We want Heatherwick to do this”? HC: Well, I think that’s a question you have to ask others. MH: From your point of view. HC: I was told that, “There is a desire to have some initial design advice here”. HC: No, absolutely not. And that there was a desire to have some initial design advice here and that I’m sure we knew that Heatherwick was one of the options, but certainly nobody, to my knowledge, was saying, “This must be Heatherwick”. MH: But Heatherwick wasn’t on the framework. MH: You had a framework for bridges. The other two were on your framework for bridges. HC: Yes, but that’s engineering and construction, not design. I’m pretty sure, Charles, I’m right in saying there wasn’t a framework that covered just general design advice at the time. CR: Yes, I believe so. HC: And if there had, then that would have been an option, but it wasn’t an option because there wasn’t a framework. CR: And we wouldn’t always use a framework, even if a framework was available, if we felt there was a need to have a wider pool of suppliers. HC: Yeah, we might not. We might consider it’s not appropriate or something, there’s all sorts of positions. MH: But then the invitation to bid was not for a Garden Bridge, it was for a pedestrian bridge, although everybody knew it was going to be the Garden Bridge. HC: Yes. Actually, because I think we’re quite loose with language here. I’m not sure that that was clear, actually. I think at that early point, a Garden Bridge was one option, but a non-Garden Bridge, a pedestrian bridge, was also an option. HC: It’s come into the language since. MH: I’ll tell you what I feel, reading the papers, if I’m absolutely honest with you, it says, “Garden Bridge, Garden Bridge” in all the emails and it suddenly converts to pedestrian bridge when it comes to the procurement. I have now looked through piles of stuff and everybody was talking about a Garden Bridge. And suddenly, when they put the procurement letter out, it becomes a pedestrian bridge, so you could argue that it wasn’t a fair competition, because only Heatherwick – who had been involved anyway before – knew about the Garden Bridge, and the other two, who had built loads and loads of bridges, didn’t. They were asked — what was the actual wording? HC: You’d have to talk to the people that put that procurement together, because we weren’t involved directly in that choice of language. I think all I would say is my understanding about that time was there was still an enormous amount of uncertainty. There was an idea of a Garden Bridge, but my understanding is that it wasn’t fixed that it was going to be a Garden Bridge, and so it’s perfectly proper that the procurement didn’t prejudge that. MH: Okay. I’m just asking you where you got that understanding from. HC: I’m just generally recollecting what the position was at that time. MH: I see. No evidence. Can you talk about evidence for that? MH: I haven’t seen him yet, to be fair. I haven’t seen him. HC: Well, I think this thing is on record, I think the transcripts of the Assembly Oversight Committee and things like that. My recollection is Richard gives an account of it in that transcript, so you’d have to look at that. I wasn’t involved in that at that point, but I have heard – and maybe that’s what I’m recollecting more than anything – is the account that Richard has given of that subsequently. MH: What about you? When did you get closely involved? MH: So after both contracts had been let? CR: I think so, yes, yes. I wasn’t closely involved. MH: I’m much more interested, I have to say, in the procurement of those contracts. Do you think it was properly done then? HC: Well, you’re asking a very broad question. If you’re asking do I think that the selection of the process was appropriate, then I would say yes. If you’re asking do I think it was then implemented as best as it could have been, then I think the answer to that is clearly no. There’s been work done and audit work to analyse that and there’s been various criticisms of the process which have been accepted. So of course I would agree with those. MH: Looking at the papers, it looks to me as if TfL’s legal advice never reached TfL Commercial. HC: I think we’d have to take that away. Are you talking about in the very early days? HC: The early advice about the project, it didn’t go to the commercial team? CH: The early advice, TfL Commercial said, “We didn’t see that” and that’s why they went the route that they did. HC: I think we’d have to check that. I can’t answer that definitively. MH: It would be brilliant if you could write to me. That would be really helpful. HC: Yeah. Presumably will you give us a note of questions at the end. CH: Yeah, absolutely. I can look at the bit in the audit report, if that’s helpful as well. MH: Yeah, I’ve got a little note here: Ed Lister, in his evidence to us, “It was very public knowledge the Mayor wanted a Garden Bridge”. Mayors have pet projects. That’s one of the aspects of their roles, that’s what they do. Some things are mad, some things work, but as lawyers, where you’re giving advice to ensure public money is properly spent… where does that create problems for you and what systems have you got in place? It’s a rather broader question: what systems have you got in place? You might look at the cable car as another little pet project. I’m trying to think what did Ken do? He probably did loads of pet projects. That’s what they do. HC: Yeah, of course they do. And to be honest, that’s not the only place the concepts, the schemes come from. And in TfL’s terms, there’s two types of scheme, really. There’s transport schemes which are being generated out of transport necessity that come through our analysis of the transport needs of the system and population growth and that kind of thing. They usually would get identified through the Mayor’s transport strategy as being priorities and they’d have a formal business case associated with them. But in our terms, it would all be generated at the transport necessity. Now, this isn’t one of those projects. MH: It’s not a transport scheme. HC: No, it’s not a transport scheme, and even from a relatively early point, it was obvious that it wasn’t. And that’s why the decision-making around doing this scheme could never have been taken through TfL, because there wouldn’t have been a rational decision to take for TfL, because in transport terms – and that is what TfL is there to deliver – there would never have been a rational reason for delivering a scheme that didn’t deliver appropriately cost-benefited transport objectives. And this scheme never did, which is why it was appropriate decisions on taking this scheme forward were taken by the GLA, were taken by the Mayor as Mayor, because then the Mayor could take into account broader considerations, in terms of tourism, in terms of the broader social benefit, in terms of the commerce. MH: But the business plan was to whom, TfL or the Mayor? MH: Have you see that? It tries to justify it. I agree with you, it was never a transport scheme, but it tries – it does. Was it a TfL business case? It was, wasn’t it? CH: It was, so that was one of the conditions that was applied, that there had to be a business case. HC: Yes, but it’s broader than just transport benefits, isn’t it? MH: It is broader, but it does pretend transport benefits. HC: Well, there are undoubtedly some, because you’ll be able to move from A to B, won’t you, so there must be some transport link. You’ll be able to walk, but would there have been enough to justify public expenditure solely on the basis of the transport aspect of this? No, I don’t think anybody’s ever claimed that and couldn’t. MH: Okay. So we’ve established there are schemes like this one which don’t really fall within the clear remit of TfL. Yet collectively you have to ensure that public money is properly spent, right? MH: Yeah. Where is the probity of procurement issues which you’re not happy with, which you’ve told me you weren’t, which lead you to think that there should be other protocols and policies in place? HC: Personally, I think the framework for the discussion that was had about how it should be procured was the right discussion to be had at the time. I think the early stages of this project were difficult because there was so much uncertainty about the nature of the project and what was the possible delivery vehicle for that. There were various options and there were probably more options even than were written on that note, if people had thought harder about it. That’s always difficult, but to be honest, that’s often the case at an early point in a project. I think you might say it’s more difficult in the regional government structure, where you’ve got a transport body that can take decisions about transport and is also a delivery vehicle, if the Mayor needs it, because that is possible under the way the GLA Act works. So there was probably more uncertainty about the nature of this project, but it’s not uncommon at an early stage of a project, even one that had got clear transport benefits, as to what the route of a big scheme going to be: is it going to be a bridge or a tunnel or a ferry, if it’s going to be river crossing? Those discussions will be had at the early point of a project, inevitably. I think in terms of you say what went wrong, I think, it’s undeniable that the procurement process — What I think we need to keep in mind is it was at a very early stage in that project and a project where people didn’t know how it was going to carry on. In any event, some of that procurement process wasn’t handled as well as it should have been and that’s been well-documented in terms of the audit report etc. I think even before that there was some criticism and that was accepted, but the audit report documented that very clearly. MH: What did you feel about the Mayor’s direction point? HC: There is a statutory power for the Mayor to make directions to various other functional bodies and that includes TfL. Those mayoral directions are not at all uncommon. They’re usually based around statutory powers, because the way the GLA Act framework works is the Mayor has very broad power, statutory power, to do things. There are some procedural steps that he has to take around that, so it’s not completely untramelled. But he has that power. The other functional bodies don’t, and TfL, for example, can be the subject of a direction from the Mayor. Those directions actually are usually trying to achieve two things: (1) they’re transferring statutory powers from the GLA to TfL to cure this issue. about, “Well, it’s not a transport scheme, therefore why would any normal transport body get involved in it?” Well, the answer is it’s getting involved in it because the Mayor is telling us that we should. And then the second question is, “what’s your statutory power?” because as you’ll know as well as I do, all public bodies have to have clear statutory powers to do things. So the other thing that mayoral direction achieves is actually it’s the delegation part of it, because it’s a direction and a delegation. So the delegation achieves passing the statutory powers from the GLA to TfL. MH: Where else has TfL used it’? Where else? CR: The cycle hire scheme. MH: So that was a Ken direction, wasn’t it, originally? HC: There’s all sorts of smaller things, the Poppy Day has had — when we were putting some advertising on trains to assist the charitable objectives of the Poppy Fund, we didn’t feel that that was something that you could sensibly decide to spend public money on, but obviously from the Mayor’s point of view, that was something that was thought to be a publicly appropriate thing to do. MH: So where you get a Mayor’s direction, how do you have the processes in place to make sure then that you — you’ve said in this instance the procurement didn’t go according to best practice. HC: Yes, but that was even before the first — the initial procurement, Charles, was it before the first mayoral direction? CR: Yes. Yes, it was. MH: This one wasn’t though, was it? HC: Yes, yes. They were. MH: When was the Garden Bridge tender or contracts reported at a TfL board? When? HC: The initial contracts I don’t think were. It was the direction and delegation that was. There was a report taken to the TfL Finance Committee. Do you have the date of that, Charles? MH: Well, let’s do this all. So in March he decided to go out to tender. When was that? You didn’t actually have a direction. When did you get the first direction? CR: It was 27 August 2013. MH: Yeah, that’s miles after those contracts had been let. And those contracts had never been reported to the TfL board? HC: Well, no, because the Finance Committee must have been aware of that before. What was the date of the Finance Committee — was that after the mayoral direction or before? CR: That was 18 July, I think, 2013. MH: And when were the contracts let? One was let in March and the other one was let…? CR: I think shortly — in the spring. HC: No, it would have been within the delegation of the individuals of the Commissioner and Richard de Cani. It would have been under their delegated authority, certainly within the Commissioner’s delegated authority. MH: How much can the Commissioner spend without authorisation then? HC: Have you got the list of delegations? MH: How much can he spend, without authority? MH: How much can they — Because it was the Arup contract was for several million, wasn’t it? CH: I can’t remember, off the top of my head. MH: What was the Arup contract? Do you remember? HC: Would it have been £50m and £25m at the time? The Commissioner’s would have been £50m budgeted. HC: And £25 million unbudgeted. MH: Without any authority at all? HC: No, the authority is given by the Commissioner or the Managing Director of Finance under those delegation limits, no specific board authority. MH: No accountability structure at all? HC: That’s absolutely not true, because there are mechanisms by which the use of that delegated authority is reported and overseen. If you want to know exactly how that delegated authority was exercised, I’d have to take that back and look at it, because I can’t recall. Can you, Charles? HC: Was there a note done at the time? I can’t remember. We’d have to take that back if that’s the question you’d like, if that’s the question. MH: I can’t even think in Government that you’d be allowed to spend that money without an authorisation. HC: Not entirely. There is a scheme of delegations which delegates authority from the board which the board have agreed. MH: Yeah, but you’ve just told me that he can spend £25 million without an authorisation on something which is not in his budget. That’s what I’ve understood. MH: Well, the board has delegated the authorisation to him but in effect what that means is he has the power to sign a contract of up to £25 million without any further authorisation, just under this delegated power, delegated authority? MH: That is one heck of a lot. CH: Is that delegation from the Mayor or from the board? HC: No, it’s from the TfL board, under TfL standing orders. MH: Would it be possible for you to give me a list over a year of how much that’s been used? HC: Yes, we could do that. MH: I have to say, I’m a bit taken aback by that. MH: But you’ve let a contract. MH: What does “project authority” mean? HC: The authority to release funds so that a project can move forward. That doesn’t necessarily mean it’s contractually committed, because the contractual commitment may well come later. And the Finance Committee receives both a forward and a backward look, so it sees a forward plan of the decisions which are expected to be taken in the future and it also sees a summary of the decisions that have been taken under authorised delegation. MH: What I’m querying is the £25 million on things that aren’t in the plan. You said to me there was £25 million. MH: I’ve got to say to you, they didn’t know, nobody on the board of TfL knew that contracts had been let either to Heatherwick or Arup until after the event. HC: The board as a whole didn’t, I’m sure that’s right, but of course individuals — Isabel Dedring, for example, who was a board member, would have been aware, so it’s not true to say no board members were aware, and the Mayor of course was a member of the board as well. CH: Could you come back on that point? You mentioned about how the delegated authority was deployed. HC: Yes, yes. Shall we do you a note about how the delegated authorities work and how they are reported as a matter of routine? MH: What I’m really concerned about is I can’t see where it’s in plan. It’s where it’s not in plan. The £25 million where it’s not in plan, which would be a general thing I would want to look at. HC: Yes, yes. I’m happy to do you a note as to what those arrangements are. MH: Okay, thank you very much indeed. So go on, how does this project compare with others that you’ve done that we’ve talked about, where it’s a mayor’s good idea? MH: Well, take the bikes, which is probably the other most recent one. I’ve looked at the cable car, but I haven it looked at anything to do with the bikes at all. How does this — the procedure, the processes? 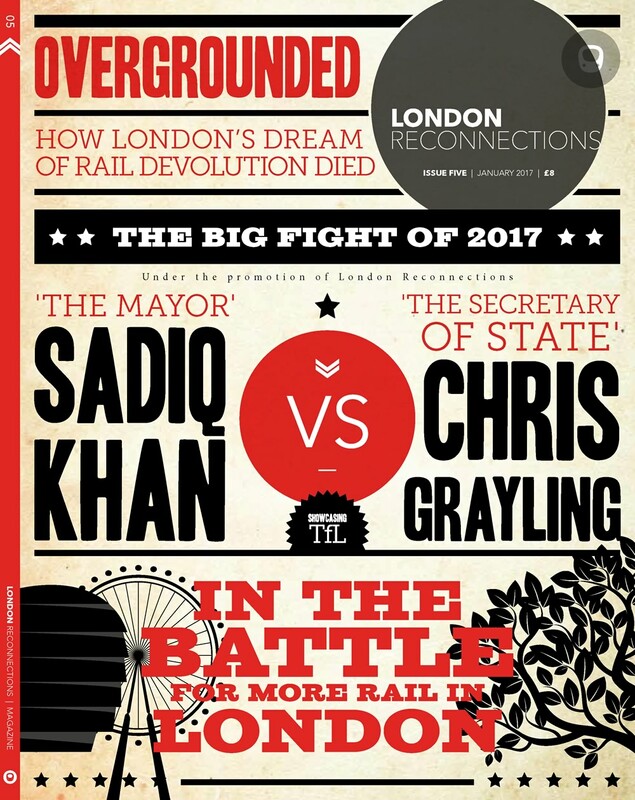 CR: Well, I suppose the big difference between the cycle hire scheme and perhaps the cable car scheme, which l did work on, and the Garden Bridge scheme is the delivery of it. The cycle hire scheme and the cable car, we delivered it, we let the construction contracts or concession contracts, whereas this is a different direction altogether. MH: Did you deliver the cable car? They paid for it, the private sector paid, but you delivered, is that right? MH: The Emirates money, yeah. MH: But you were responsible for the delivery? CR: We let the construction contract. MH: You let the construction? CR: And we operated to that. MH: Although you let the Arup contract here. You did let the Arup contract, the only contract you didn’t do it was the Bouygues. You didn’t let that one? MH: But you let the other two though? MH: It doesn’t matter. I’m looking at the fact that they existed. Go on, so there’s a little bit of similarity, although I accept you didn’t let the construction contract. CR: Yes, so I guess the similarity is that they’re both mayor-driven projects, the cycle hire scheme, as we’ve talked about. MH: I’m trying to get a process, what went wrong, what would be better. I’m trying to get at that. Try and help me with that if you’ve got anything. HC: The difference fundamentally, was that they were delivered by TfL, who received sponsorship to contribute towards the cost. In this project, as it turned out, it’s to be a private sector delivered project, but with funding from the public sector. So that’s the fundamental difference. MH: A lot of money from the public sector. MH: So what should have been in place that wasn’t? MH: Not really. lt’s pure process. MH: Different. So you just weren’t consulted? MH: The telephone calls, that stuff? HC: Yes, there is no commercial lawyer worth their salt would have said that that was a respectable way to proceed, and I’m absolutely confident about that, that any of my team or I, if we’d been asked, “Can we do this?” the answer would be, “Absolutely not”. There’s a process, there’s an appropriate way to raise further questions and to do that in a way that’s transparent and to do that in a way that’s fair to all of the bidders. And so those criticisms that are there of that process in the audit report, absolutely, and I only wish we had been asked, actually, because it would have been a different story. MH: And what about the day rates on the Arup? HC: I think the day rates is a harder question, because there was some confusion with documentation, wasn’t there? MH: There was. I can’t get to the bottom of it. HC: I think they’d got themselves confused and that’s unfortunate. And I’d like to think that if that had been crawled over, that confusion would have been spotted but, hindsight’s a wonderful thing, isn’t it? Clearly the confusion about that wasn’t helpful. I think the team, as I recall, again, I think you perhaps need to look at Richard de Cani’s evidence to the GLA Oversight Committee in relation to that, because I think he’s answered that question at some length. And as I recall he was very clear what he thought they were being asked, but the documentation isn’t as clear as you would want it to be. HC: There’s often a difficulty about that in that there’s a chicken and egg thing at the beginning. When projects first start, there’s a chicken and egg thing, where you need to do a little bit of work to establish the feasibility, the business case, early concept design, those kinds of issues, where you need some support with that. If you subsequently completely eliminate whoever does that work for you from being able to bid for the whole project, then people are not going to be very interested in doing that early concept design. They’re all going to say, “We want to wait and be involved with the whole project” and you I’ve got to start somewhere. If you haven’t got the in-house resource to do that, you have to bring someone in to do it. So there’s always that slight dilemma. There are ways of making sure that you can still run a competition that’s fair subsequently. But it is always difficult. I think perhaps you just need to be fair to those involved at the time. It may well be that at City Hall it was being called a Garden Bridge, but it may be that in TfL there was still a thought — and I think this is what Richard de Cani has previously said, as I recall – that we were still open minded about what form it was going to take. MH: Well, I can tell you that your bosses weren’t. HC: Well, I’m not sure. I thought I remembered a point when the then Mayor said subsequently that he wasn’t wedded to the idea that it was a Garden Bridge, but you’re right from a very early point, people were calling it a Garden Bridge. MH: Ed Lister was pretty clear. HC: You should ask Richard. HC: I think there’s a difference — you would know better than us that it’s the job of civil servants to take the concept that they’re given politically and work out whether that’s a viable proposition and also to make sure that alternatives are not taken off the table too early. I suspect there was an element of this going on here. It may well be that if you ask City Hall, they would have said, “This is all about a Garden Bridge”. I suspect that if you’d asked some of the TfL people, they would have said, “Well, this is this idea for a Garden Bridge, there’s an idea for a river crossing and we’re testing out whether that’s feasible and what other options might be”. I’m pretty sure TfL colleagues were not saying, “All we’re going to do is just explore options for a Garden Bridge, because that’s what we’ve been told to do”. And I suspect that’s why the tender was written in the way that it was, because they were keen not to rule out any better ideas if there were some. So if somebody had had a better idea, then I’m not sure we’d say that wouldn’t have ever had legs, because if there’d been a better idea, there’d have been a conversation with Ed Lister and the Mayor. And who knows, they might have liked a different concept even better, but it didn’t happen, so it’s hard to speculate about that, because actually the favoured option quite quickly became the Garden Bridge. MH: If we look at the internal audit, were you happy with the amendments that were made to the original? HC: The process for amending the audit report was very similar to a process which goes on with any audit report, where there are draft audit reports. Management are asked to comment, those comments are considered by the auditors, recognising, at the end of the day, it’s always for the auditors to have the final say. That process was different to most other audit reports only in the respect that there was some probably more senior people who were involved in that discussion than there might have been for a routine audit report. But apart from that, it was the normal process. MH: What does that mean? Who were the senior people? Was it Isabel Dedring? Were they involved, Isabel Dedring? HC: Did Isabel see a draft ofthe audit report? I don’t know. I certainly don’t remember her commenting on the audit report. CH: I don’t think she did, because there’s a comment from Richard right towards the end of the trail, where he says, “Isabel should get the final edition version tomorrow” which I think was just before it went to the committee, so I don’t think she saw the draft. MH: You don’t think she saw it? CH: No, I don’t. I think she might have seen it just before the committee, but I think she saw the final report. HC: Yes. I don’t think — she certainly wasn’t involved in commenting on it. I don’t remember any comments from her. I think the people who commented on that draft were Richard de Cani, I think Vernon Everitt, Director of Comms, saw the report, and I saw a draft of that report, and there would have been other staff at the working level who saw it. MH: And you normally wouldn’t? HC: Not normally, but I don’t want to say this is the only one ever. I have certainly seen audit reports in draft and commented on them. MH: And why did you feel you had to look at this one? Because it would be critical? And because it was higher profile? HC: Because it was high profile and because any criticism in that report was going to be a sensitive thing and certainly I do occasionally ask to see draft audit reports. Not often, but occasionally. HC: Yes. Well, it became that, because it wasn’t obvious that that was — that’s as it became. MH: Yeah, but nevertheless, public money is at risk, right? MH: So when they let the contract to Bouygues without either of the permissions, which is the NAO [National Audit Office] criticism, they hadn’t got the land, they hadn’t sorted it out with Coin Street, they hadn’t actually sorted it out on top of Temple either and they hadn’t got the PLA [Port of London Authority] licence and they certainly hadn’t got the money. Were you consulted on that at all? Should you have been? So, (a) were you, what happened; and (b) should you have been, and would you have approached the process [overspeaking]? HC: You can answer that more clearly than I could. MH: Were you consulted is what I asked. MH: This is not a condition of payment. Did they seek authorisation to let the contract to Bouygues? CR: What, the Garden Bridge Trust? CR: I don’t think they did in an official sense, but we knew they were doing it. HC: Well, they wouldn’t have needed authorisation. MH: But if you knew that they were letting a contract without having the necessary permissions and without having the money in, don’t tell me you couldn’t have done nothing about it, especially when you were underwriting it all. HC: No, what we should have done, the control would have come through in terms of the fund agreement. CR: The control would have been we would have taken a view as whether we released further money and money to them under the funding arrangements. MH: Right, okay. And you decided it was all right for them to do that? You did release further money, so you must have taken the decision that it was okay for them to let the tender without having got the permissions or having got the finance. MH: Yeah, but the Mayor can’t ask — that’s why I’m quite interested in the process. The Mayor can say, “I want this and I want you to take responsibility for it”. The Mayor can’t tell you you can risk public money. HC: Well, in a sense any money you spend on a project before you know for certain that it’s going to go ahead is putting public money at risk. HC: Yeah, you’re talking about the funding arrangements, yeah. MH: — sanction you would have had would have been to stop their funding. HC: Yes. You’ve got to be careful not to over-simplify this. At that point that that contract was let, there was a private sector trust in existence responsible for its own decision making and it was for them to take decisions about how they structure their contracts. MH: I think I’m going to look at this public money point. HC: Yes, I’ll come to that but I think you have to start from the point that it’s a private sector organisation, a charity responsible to the Charity Commission and all the rest of it with the great and the good trustees, with responsibilities. It was their decision to decide how to structure that contract. Clearly in risk terms there was different ways you could proceed. You could only proceed once you’ve got every last consent and approval and land acquisition that you think — you could wait until the very end or you could decide to move ahead of that with the construction contract being contingent on getting some of those things. HC: There are. No, they’ve exercised them, so there must have been. MH: They’re having to pay out money to pull out of it. HC: Yeah. Well, that risk profile is a decision you take on any project. You never necessarily know 100 per cent that you’ve got every last approval and clearance. MH: You’re running away from it. I completely understand it was a Trust decision. All I’m saying is in taking that decision there was at risk public money, £60 million worth of public money, or more. £60 million worth of public money, so at that point you need to take a view as to whether that’s a fair risk. You took the view that it was. CR: Yes, so the original funding agreement, there were various points at which funding would become available if they met various conditions of payment. So the Trust would then provide evidence as to whether those conditions had been met. MH: There was one more question, I’m really sorry to ask you. I understand all that — I’d just say, there was a stage where you could have said, “If you let this contract we will not give you any more funding”. You decided not to. Why? Let me put it that way, if that’s an easier way of putting it. HC: Yes. So I actually wouldn’t — but I was explaining before about the construction because I was hoping to come back and give the second part of that which is to deal with the funding part of it. You’re absolutely right, that’s where the control comes. There have been various decision points in terms of the funding and altering the conditions on which the funding were given, which has happened over time when it was incumbent on the public sector to be satisfied that the project was proceeding in an appropriate manner. And there have been a whole host of discussions about that as between the GLA, the DfT and TfL about that, and that’s what led to the various amendments to the funding agreements. And also I think, Charles, that was part of the subsequent mayoral directions, because what kind of risk profile to take and what conditions to attach in terms of the funding agreements was, yes, in all directions. MH: I’m really sorry, but you’re not answering the question. Why did TfL, who were responsible for the DfT money as well as the TfL money. You were responsible for £60 million. Why did you not use your authority to withhold funding to stop a premature letting of the contract? Why? CR: Because we recognised that it would not be feasible for the Garden Bridge Trust to, for example, raise all the money in advance of letting the contract. Achieving consents is something that certainly we at TfL, as a public body delivering projects, we know takes a long time. MH: What’s the rush? Why did they have to let the contract? HC: I think you’d have to ask the project people. I have to ask Richard or the Commissioner. HC: One issue, which I think was prevalent in all of this was there was a time window in relation to the Thames Tideway Tunnel and there was an issue that was discussed quite a few times, as I recall, about the fact that certain of the works, the enabling works for the bridge, had to be done before the Thames Tideway Tunnel works were put in place. And so the Trust did feel under an enormous amount of time pressure in order to get cracking. So what they were trying to do was to move as far as they possibly could sensibly, without committing the whole project, recognising that there was some public funds put at risk. HC: — political judgement actually to make. HC: We were very clear about what the risks were, of course we were. We were clear about what the funding agreement said, but whether that was an acceptable risk profile was ultimately a political judgement in relation to this. MH: That’s what is being suggested to me. HC: — but you’d have to ask Richard de Cani how much discussion he had with City Hall at various points. We wouldn’t necessarily have been involved with the discussion with City Hall. CR: On the urgency point, as Howard was saying, there was concern about two major projects in the river at the same time and the Thames Tideway Tunnel hadn’t gone through. MH: And suddenly that — the rush, as you said, disappeared, didn’t it, as far as funding is concerned? CR: Well I think that might be because the Thames Tideway Tunnel project has been delayed, but that’s just what — I’m not sure. MH: No, it’s not because of the funding decision at the same time. MH: Can we ask another question? Why did more TfL money go in than DfT money? Why were you releasing more TfL money than DfT money when it was first released? HC: Again, that’s not a legal issue. That’s a question of the project from the political side, I think, but we can’t help you with that. HC: Well, I’m sure there was a lot more routine discussion about how the project was moving forward with City Hall than just — it disappeared and never came back again. CH: One of the conditions of the contract was that the money should be released equally between DfT and TfL, so I guess that is what we were coming at – whether that is a legal issue or not. CR: Indeed. Pari passu concept, yeah. CH: Yes, thank you. That’s about the extent of my Latin, I have to add. CR: Yes. So that was something that the DfT were keen on was set out in the contract. MH: But you put more money from TfL’s side really than from DfT, didn’t you? CR: Well, all the money sits in TfL’s bank account because, as you know, it’s dealt with by – at one time there were discussions about whether there should be a tripartite funding arrangement and the simpler option was that it was a variation to the transport grant. So the £30 million came to us and under the funding agreement we then doled out the money to the Trust in accordance with the conditions of payment. But there is various correspondence throughout the project from the DfT about what they consider was their money and what they consider was TfL money. MH: More TfL money went in than DfT? CR: Yes, in the early stages. CR: Again, I’m not sure that we can answer that. MH: And why did you release money within days of the election, the mayoral election, in April, middle April? There was money released to the Trust, 22 April — I’ve probably got my date a little bit wrong there. CR: Is that the £1.3 million? CR: Yes. So an undertaking was given to underwrite certain costs, I think. CR: £15 million in underwriting. MH: Who was? Who decided? MH: It looks a bit dodgy to me again. HC: Isn’t it the opposite because the Mayor could’ve tied that project — could have tied that up for years if he’d wanted to. MH: Well, again, that’s interesting because I think in a local authority they couldn’t have done so close to the election. When was it requested? HC: They are not supposed to, absolutely true that local authorities are not supposed to bind future administrations unless there’s some proper appropriate reason to let a contract. So if it’s a contract that naturally needs to be let for three years you can let it. Actually what the then Mayor did was the complete opposite of that. He bought enough time — rather than pulling the plug at that purdah, which I’m sure he probably would’ve been criticised if he’d done that, what he did was he bought enough time for it just to nip over the election period so that a successor was completely free and unshackled as to what they would do in the future. Arguably that’s a completely appropriate thing to do in election terms. HC: Well, that may be now, but I don’t think that was the case at the point that you’re talking about. CR: I understand that they have an arrangement with a private sector donor in relation to their running costs of their offices. MH: So nothing was at risk after the election? CR: The particular issue that they had, that the Trust had, was that they had signed the construction contract within a week and if the project were to come to an end there would be termination costs and so on and have a financial liability to the Trust. And their concern was that without some underwriting, the trustees would have to make a decision there and then to bring things to an end, because otherwise they wouldn’t have been able to afford the termination costs and been in breach of their fiduciary duties and so on and so forth. For them it was a protection for a period against the risk of having to terminate. MH: So you mean the additional underwriting meant that they could delay termination? CR: Yes. Because without that underwriting they would have to make an immediate decision while they could still afford it to bring things to an end. HC: And my recollection is they asked for that for a much longer period and the Mayor declined to do that and gave them a very short period in order to not have the project fall immediately before the election. MH: Yes, and it just brings to you why the hell did they sign that contract so early? MH: That was all at a time when they should have been raising money etc, which brings back to me is why did TfL commit them through your funding agreement to sign that contract early? Can you just take me through that and how on earth that ever came about, and how you felt comfortable with that? CR: Well, the Mayor’s entitled to make changes, so it’s a change of process, that’s absolutely fine. MH: But in public he said that the GLA wasn’t going to underwrite it. CR: Yes. I’m sure he did on a number of occasions, yes. MH: So there is a contradiction between what he said publicly and what he was actually doing with you through this mayoral direction? HC: I don’t know. I think you’d have to go and ask the project people that question. I don’t think our involvement wouldn’t enable us to answer that. HC: But you’re not asking us a legal question. MH: — you’ve got to sign off on all this stuff, all right? HC: Yes, but you’re asking us how did that decision come about. The answer is I don’t know, we weren’t involved in the absolute decision-making. MH: Well, you must’ve signed it off. HC: Yes, we can have a look at what happened. MH: Just before the election it changed — to a business plan, “You’ve got to show a viable plan”. Anybody can show very good plans. And they in fact haven’t even got anything in an endowment at all. They’ve got a potential £2 million endowment, potential. MH: When was it changed? MH: And that’s all right by you guys? CR: Well, he’s entitled to make those decisions, yes. MH: So close on to the election. Committing a future administration in a different way? HC: I can’t recall the discussions we’ve had about the impact of that on the election period. I don’t know. MH: When do you knock off? When does purdah come in? MH: By the 22nd, you’re into it. My recollection is I wouldn’t have been allowed to do that either as Leader of Islington or as a Minister in any of Blair-run Government. I wouldn’t have been allowed to do that. Somewhere, the system would have stopped me. I might have wanted to, but the system would have stopped me. HC: I don’t know. We’d have to have a look at why that was considered appropriate at the time. MH: Will you write to me about that? MH: Thank you. There’s a condition that they’ll repay the debt to TfL over 50 years. MH: Yes. I understand. Is that just put in there because it’s pretty? Is there a realistic plan? HC: I think you’re asking the wrong people that question. CR: There is a loan facility. They haven’t had that £20 million yet, I should make that clear. MH: They have. They had more than £20 million. MH: How much have they had to date? l have no idea of what they’ve had to date. CR: It’s the best part of £40 million. CR: No, but a lot of that is DfT money. MH: Sorry, let’s just go back. They’ve had more money from TfL than they’ve had from DfT. If your total amount is £30 million, of which £20 million is a loan, they will have had money from the loan. MH: You’re not answering the question, with the greatest respect. I’ve said to you that they’ve spent around £40 million. They’ve spent more TfL money than they’ve spent DfT money yet you ‘re telling me they haven’t spent any of the £20 million loan. They must have done because you’re only giving them £30 million. HC: It hasn’t converted to a loan yet. MH: It must have done. CR: We haven’t lent any money under the loan agreement. MH: Where have you given them their £20 million from? MH: There’s nothing in the loan. You haven’t signed the loan agreement. CR: No, we signed the loan agreement but they haven’t drawn any money down against that loan agreement. MH: They have. They must have done. You’ve only put £30 million into the pot, that’s the top, and the current Mayor has said he’s not prepared to put any more. So getting on for £40 million, more of that comes from you than it does from DfT. By definition, if you’ve got £30 million, of which £20 million is a loan, you have already given them what you consider to be a loan. You must have done. CR: I think we’ve given to them what we consider to be a grant. HC: Can we come back and clarify that? I’m not sure in my own mind. HC: Some of it will convert to the loan agreement in due course. I think it might be that. MH: Yeah, but what happens if they go bust tomorrow? HC: Well, then we stay at the current position, but I’m not sure about that. Can we go back and refresh our memories from the documents and add that to the list? MH: Okay. It just doesn’t make sense at the moment. HC: Yeah. I think we’re now speculating slightly and we can clarify that for you. MH: Okay. I’m going to be a little bit slow. CR: Sorry, I do actually have the numbers here. I think these were in the original pack that you got from our colleague. MH: Okay. I’ve been thinking, what was the legal advice on — I think it’s the procurement. What was the legal advice on the applicability of regulations that you’ve got? That must have been on something called “competitive dialogue”. Is that — am I completely barking up the wrong tree? CR: Competitive dialogue is part of public procurement. It’s a process. MH: Am I barking up the wrong tree? CR: The legal advice would have been the advice given in January 2013. HC: Yeah. I think that’s the same point that we’ve already covered. MH: Okay. So it cannot be in a position whereby it could be held liable for any aspect of the project. Can I just ask you something else? Going back to the original procurement, you give Heatherwick a small contract which means that you can do it by particular procurement rules, but they then benefit from the Arup contract to the tune of several million. HC: I don’t have knowledge of that. MH: Okay, well, they have. They’ve told us. So in a way, it feels an uncomfortable way of doing the business, at the very best. So you go down a procurement route, which I understand, you want the original design but you then know that they’re going to benefit from the next stage, as lawyers and concerned with process. HC: Yeah, you’re absolutely right, and it’s always tricky at the early stage. It goes back to the conversation we’ve had about the early stages of a project where if you can do everything in house to decide whether there’s a business case and a feasibility and all the rest of it, then there’s no issue. But if you need consultancy support with that, then there is always a possibility that whoever comes and gives you that initial consultancy support has information about the nature of the project and therefore is in a better position to make a bid. HC: Yeah, there’s something about that. There’s something about — hindsight about Arup, then Heatherwick then becoming linked with Arup without, which wasn’t anything to do with TfL, I don’t think, but that’s just the way that happened and you can’t prevent that or foresee it necessarily. MH: You probably could have foreseen it. HC: But what you can foresee is that anybody who comes in at that early stage of a project will potentially be at an advantage and what’s appropriate is for the public sector letting that next stage of the contract to make sure that they’re not at an advantage and to make sure there’s a level playing field. And there are things you can do to achieve that. CR: We weren’t locked into Heatherwicks. The appointment of Heatherwicks, the ownership of the intellectual property came to TfL. HC: Yes. The mistake people made at that point is they commissioned a design – they forget to purchase the intellectual property in it and then you find you just can’t carry on with anybody else except the person who owns the intellectual property. MH: So whose intellectual property was it? Heatherwick’s or yours? CR: He created it, but it became ours, yes. MH: There was a row about that, wasn’t there? There was a bit of an argument about that. CR: Likely to be an argument. MH: In the tender, in the first Heatherwick tender, they put in a much higher fixed fee. Again, the figures were wrong. MH: And the losing of the papers that assessed both this tender and the Arup tender. HC: Well, you’ve read what we have. My understanding was it was just they weren’t filed properly. I’ve got no reason to think that the account that was given to the auditors and that was given in the audit report isn’t anything other than accurate. HC: I don’t quite know that means. MH: The way it was procured. MH: The initial design and then the Arup contract. Both, I think. You wouldn’t concur with that? HC: No, I’m not in a position to agree or disagree really. I don’t think I’ve got enough experience to say. All I would say is it’s not unusual, at an early point in a procurement, to find that you do need some initial support. MH: Yeah. No, I can understand that. HC: But there was also that — there’s also been criticism that it was done through a design consultancy rather than an architect, but that’s a separate point. Quite a bit of RIBA’s criticism and that of many others — I’m not suggesting that’s all — but one of our big issues has been that and again, that’s beyond our technical expertise. MH: Okay. In the original internal audit report, it must be you on this one, said that there was a possibility of a legal challenge given the way the process had gone. That was then removed from the final version of the audit report. Do you want to just comment on that? HC: I don’t remember the precise detail of the discussion, but I can well imagine why it might have been. It might provide a challenge, so the facts are the facts. MH: But you put it in in the first one. HC: Well, no, because the auditor will have put it in the first one. The facts are the facts, but why would you advertise the fact that somebody might want to bring your legal challenge here? That’s not necessary for the auditors to report and they can report on the process and whether it was done appropriately. I would have said that was slightly out of their remit actually at that point. So I don’t remember that conversation. MH: Did you take out or you can’t remember who took it out? HC: No, I have no recollection of how that conversation went, but I would not be at all surprised if it wasn’t me; that’s quite possible. I’m just not — I can’t remember the conversation. CH: I think it’s Clive Walker actually. It was the lead auditor who removed it. HC: He might have taken it out before I signed it maybe. It could easily have been me, but I just can’t remember. MH: Yeah. Another legal question. Are the guarantees on the ongoing maintenance that was signed by the previous Mayor binding on the new Mayor? CR: The guarantees haven’t been signed, so they remain draft documents. CR: So they are largely agreed, albeit there’s not been any significant discussion for six months, so things may have moved on, but they have not been signed. MH: So the switch from business, from money in the bank to a sufficient plan, or whatever the wording is, has not been authorised, was it? The Mayor did sign. CH: He delegated authority there I think to Martin Clarke, if I’m right. CH: He delegated authority to Martin Clarke – he’s the Director of Resources at the GLA – to do the actual signing, so he authorised the terms under which it could be signed but then delegated to Martin. CR: No. He delegated to him the authority to agree the final terms of the guarantees and the related documentation and to execute them or sign them. MH: So did this guy, Clarke, sign them? MH: Are we seeing him? CR: The reason is because the documents aren’t finally agreed, and by the documents, I mean not just the guarantees but the whole suite of documents around the guarantees that we’ve been looking to put together to protect the GLA, so that in the event the guarantees are called upon, they have the rights and powers they need to actually take over control of the bridge and fulfill those guarantees. So rights to take leases of the land, collateral warranties from [several inaudible words] and so on and so forth. But nothing signed on that side. MH: Okay, and if it doesn’t get signed, what happens then? HC: The conditions attached to the planning consents wouldn’t have been fulfilled, so there wouldn’t be planning permission to go ahead with the scheme. MH: What about the fact that you, TfL, are responsible for spending the DfT money, yet out of the four conditions that George Osborne put in his original letter giving you the money, only one has been met which is the sharing? The others haven’t been met. What does that do to you? Shouldn’t you be insisting on the others? HC: There was correspondence from the Mayor, wasn’t there, where the Mayor didn’t agree with some of those conditions? MH: Where did it end up? What were the conditions? Are you telling me that DfT, when they gave you the contract, actually didn’t insist on the conditions? CR: Correct, yes. They were aware of the conditions of payment. MH: But they weren’t. There’s a document floating around TfL somewhere. HC: Those conditions were originally put in that correspondence. My recollection is the Mayor wrote back disagreeing with some of those conditions. MH: Yes, I’ve seen that, but I’ve never seen a letter back. HC: I don’t believe there ever was. I think that’s where it rested. CR: That’s my understanding, yes. HC: Yes, and in due course, the DfT approved the wording of the funding agreement which didn’t reflect the other conditions. They had an opportunity as well to say, “Actually, we may have never written back but the Chancellor may never have written back but actually, we are insisting on that” and they didn’t, so they never insisted on it. MH: Okay. 25 April 2016 was the single payment of £1.3 million which was jolly close on to the election. It seems odd to me. HC: I think we’re going back to the question we said we’d come back to you on the pre-election period, yeah. MH: Yeah, okay. Let me just — I just want to make sure I’ve covered everything. Have you any worries about the trip to San Francisco? Does that seem to you perfectly in order or was that paid for by GLA, not TfL? MH: Was that the GLA thing? Who funded that? MH: It now emerges that the sole purpose of that trip was to raise money and again, not a bad thing to do, but one would like that to be open. HC: Yeah. I don’t know how much of it was transparent. There is a process where the Mayor publicises meetings he’s had and that’s through the GLA. CH: That’s one of the issues that it wasn’t in his diary, despite being funded by GLA. MH: Okay, and do you have any worries during the process as well, that — you’ve nothing to give me, okay. MH: Can you send that to me? CH: May I ask a very quick question? MH: What have I forgotten? Go on. CH: It’s just if the Mayor had wanted to appoint Heatherwick and it says, “We just want to go with this” are there routes that he could have used through TfL to delegate that and make a decision that you would work with Heatherwick? MH: Which are what? Are transparent, yeah, but you could do it? HC: Yeah, about that process. Depending on the value, I think you could do a single tender justification for it if you thought that that was appropriate, but you’d have to justify it. I think it would have depended how it was done. I think if there was a good justification for only going to one person and it was clear that wasn’t going to prejudice any future procurements, then for a relatively small amount of money, that might have been acceptable. You know, lawful. Whether it’s politically acceptable is another issue. MH: Your advice – I think it was yours at one point – that they should do the procurement of the two bridges together, the Vauxhall Bridge and the — that was legal advice, I think. CR: I can’t say I remember that. MH: I think it was this woman who we haven’t seen today but there’s somewhere legal advice saying, “As you’re doing a Vauxhall to Pimlico Bridge and this one, it would be sensible to do the procurement together”. I think it was legal. It was legal. MH: Can we ask you to check that? MH: Who’s Paul Plummer, by the way? CR: Paul Plummer is a commercial procurement officer within TfL. MH: But he’s not a lawyer? HC: No, a commercial procurement officer. MH: Okay. No doubt I’ll come across something and I’ll write you a letter. HC: Yeah, that’s fine, no problem. Can I just ask you about the process? Presumably at some point we’ll get to see a draft report. MH: I’m going to consider that. I’m not sure. Let me see how we go. Other people have asked me that, but let me just see where we go. If I think it’s necessary, I’ll do it. HC: It would certainly be nice to be able to have an opportunity to comment on factual issues on that part of your report even, if not the commendations or whatever. It’s very common to at least do that. MH: Yeah, I hear that, but I’m going to consider that. Okay, thank you. Thanks very much indeed. What stikes me about all this garden bridge stuff – the preparations, negotiations, cancellation and inquiry is how much it distracted senior people. It can only ever have been a sideshow, and there was so much more that needed to be done on the main attractions, so to speak. @ 100&30 – except, of course, it was not a sideshow for the occupant at City Hall. As several of the testimonies make clear the role of TfL is to keep said occupant happy even if they and their cohorts are acting like hyperactive infants going “me wants, me wants, we wants Garden Bridge. Build it now. And use my nice friend Tom to design it. I like his dwawings”. A sad statement on the governance of “transport” (ahem) issues in our City. The former mayors’ primary interest has always been in himself. His ego, his cult of personality, his legacy, his personal opportunities. With so much recorded about him and his decisions by the press and personal contacts, its a surprise how successful the spell he has cast is. Commenting on Boris Johnson’s actions, decisions, and the effects of his period of tenure are fine. Commenting on his inner motivations and character are straying a little closer to the boundary of what we want on this site. This preferred emphasis also applies, of course, to comments about any other public figure. Personal attacks are widespread in politics in general. But any post here containing /only/ a personal attack – on anyone, no matter how generally reviled – is liable to deletion. Please stick to what they did, rather than what they are or were. @ Ben – I think there are a couple of points. Bozza is not unique amongst politicians about wanting to make a mark or have a legacy. Ken Livingstone arguably left a far greater one but people don’t remember he was responsible, they just remember his last remark “about the war” (so to speak). I’m going to stray perhaps a little close to Malcolm’s axe here but I also think Bozza is almost compelled to “push” and “promote” himself because of his upbringing. None of the family are what you’d call “shrinking violets” so even allowing for any natural exuberance he may possess he’s been moulded and pushed to “aim for the top” throughout his whole life. That’s a massive expectation to have to carry round with you. And that’s about as “nice” as I can be about the man and I have met him albeit before he started pushing hard into the game of politics. Ironically he does have a couple of decent transport legacies – forcing TfL to release its electronic data so we have live bus arrivals and lots of other “data” things via the web and apps and managing to get the money (eventually) for the SLL part of the Overground. He also found the cash for 5 car LO trains and presumably helped push the case for GOBLIN electrification. We also got a bit of rail devolution too. He also managed not to cancel Crossrail despite cancelling a shed load of other useful schemes. I’m not so sold on the cycling stuff as it’s not clear what it’s achieved yet. I expect the current Mayor is as keen as any of his predecessors to have a legacy – he will want it to be about affordable housing, better air quality and an affordable transport system. Whether he can achieve any of it and be lauded for it remains to be seen. WW: Boris’ cycling legacy certainly exists, and has achieved something: it has facilitated a lot of cycling. Of course the net benefit to the public realm may be in doubt because, arguably, the money and/or the road space (or perhaps even the cyclists’ leg-power) could have been used in some other way. But the legacy is there. @ Malcolm – I appreciate the cycle lanes exist. However we are still waiting for some bits to be finished even now (Royal Parks?). I think my point here is that it is too early to reach a valid “rounded” conclusion on the total impact of their introduction. Yes people use them in the rush hour in large numbers. In some cases in such large numbers that they don’t work properly *for cyclists* because of large queues at signalised junctions. I’ve seen recent commentary that the arrangement at Parliament Square doesn’t “work” either because cyclists are riding in the normal traffic lanes as it is quicker to do so. We then have the other issues such as changes in accident / death rates for cyclists and pedestrians, impact of bus journey times / bus patronage, impact of road traffic levels / congestion etc etc. I am not trying to be make a “pro” or “anti” point here – I am just saying we need a proper analysis and appraisal of the total effects to understand whether the money spent was worthwhile and if a true legacy has been created. Bozza thought he’d created a marvellous “legacy” by slapping blue paint down on the tarmac and calling that a “super highway”. Multiple deaths / accidents / near misses and the resultant outcry and subsequent policy change showed he was wrong in that assessment. WW: Yes I take the point that it is probably much too early to judge whether Johnson’s cycling legacy is an overall Good Thing. My point was that, good or bad, he has certainly left a legacy in this area. Continuing the somewhat off-topic but nonetheless interesting discussion on Boris’ cycling legacy, I think the construction of the 1 long protected cycle superhighway nearing completion and the many fragments of protected cycle lanes elsewhere (https://www.routeplanroll.com/) is analogous to the first line of a tram network: useful but in a very limited sense, and possibly not worth the money and disruption if considered in isolation. However, what TfL’s work during Boris’ second term seems to have done is kickstart enthusiasm for a more complete network, both at TfL and within many (but certainly not all) boroughs. That feeds a virtuous cycle of better infrastructure reducing the perceived “cost” of cycling, leading to more people cycling, and hence greater political pressure for more infrastructure, a bit like the story of provincial bus usage decline in reverse.